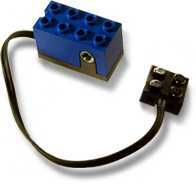 9756 Rotation Sensor is a Mindstorms set. Included is a large dark blue/black sensor piece that senses rotation. Facts about "9756 Rotation Sensor"
This page was last edited on 10 February 2019, at 00:03.